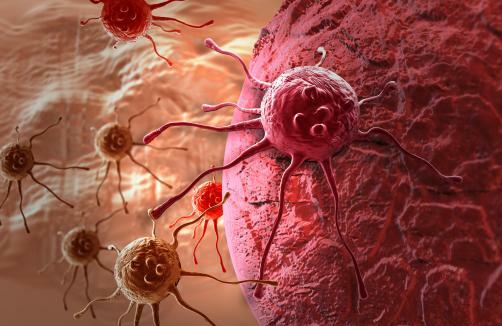 Tumours with a large number of DNA mutations are more likely to respond to immunotherapies than cancers with fewer mutations, according to new research published in the journal Nature Genetics. While previous studies have made the link, the recent study was the first to find improved survival rates in such a wide range of cancers and also in a population that had received a variety of previous treatments. The data also showed that the number of mutations indicating the likelihood of a response to immunotherapy varied from one cancer to another. One hypothesis suggests that the more genetically different as tumour is from normal tissue, the more likely it is that the immune system will recognise and then eliminate it. The findings may be a step in the right direction for clinicians seeking a method through which patients can be selected on the likelihood that they’ll respond to immunotherapies. This may allow patients who are not likely to respond the ability to avoid unnecessary treatment.